Mild-mannered reporters by day, Greg Phillips and Nick Duke share an intense love of comic books that has made them the Hard-Traveling Fanboys. In Off the Page, the boys take a look at comic book media outside the books themselves — games, TV shows, movies and so forth. 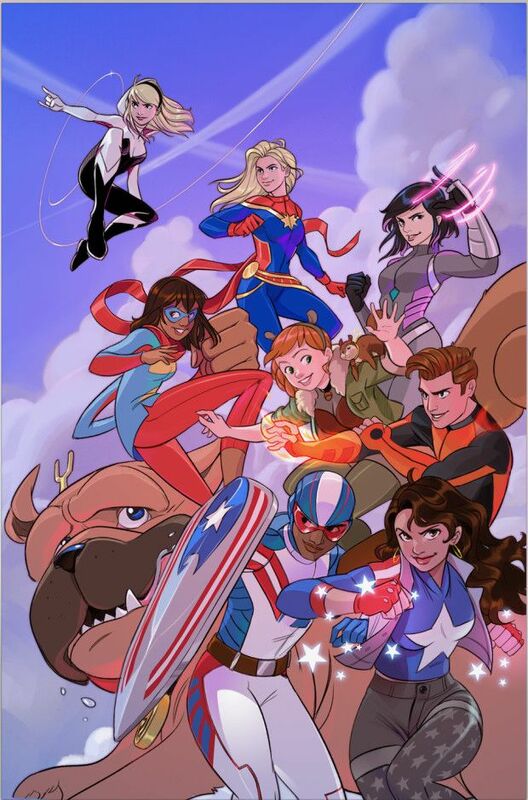 Captain Marvel Month comes to a close as the boys review the Disney animated pilot “Marvel Rising: Secret Warriors.” This TV movie serves as a crash course in all things Kamala Khan, the modern Ms. Marvel, and the HTF also learn about characters like Patriot, America Chavez and the Unbeatable Squirrel Girl! The boys also get some outside input from Nick’s daughter, Olivia!